Are you a night owl? Have you ever wanted to explore the backstage areas of a large theater? Now you can, with Sleepless: The Music Center After Hours. 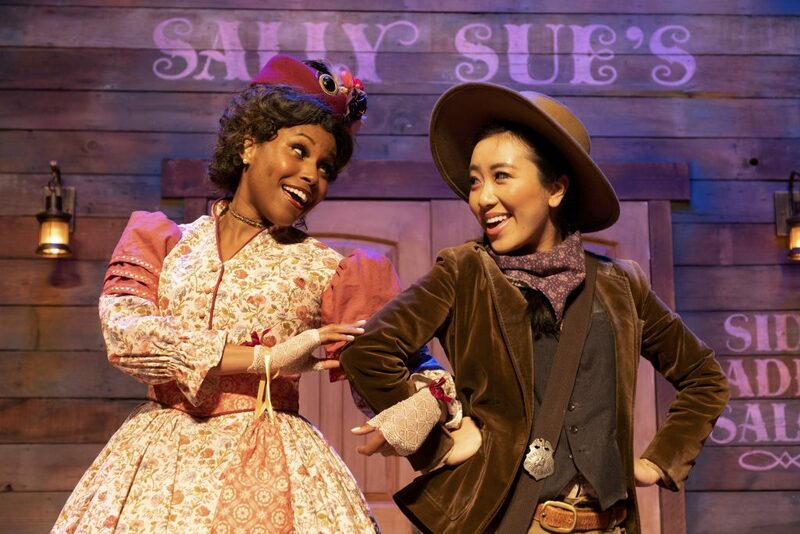 The Music Center is once again staging their highly popular, much-in-demand late night event Sleepless: The Music Center After Hours (Sleepless), offering new experiences and access to more places and spaces at Los Angeles leading performing arts center. 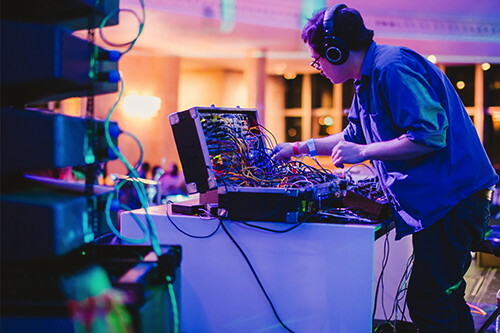 An immersive, multi-sensory event, Sleepless re-imagines The Music Centers theaters and adjacent spaces with DJs, dance parties, eye-opening video installations and sonic sculptures. Curated by The Music Center, Sleepless, which runs from 11:30 p.m. -3:00 a.m., will be held on April 1, 2016 at the Dorothy Chandler Pavilion (Pavilion), and also on June 17, 2016, September 23, 2016, and November 11, 2016 at Music Center locations to be announced. With entrée to locations never-before available to the public, the April 1, 2016 Sleepless access is available for $20 in advance and $30 at the door. 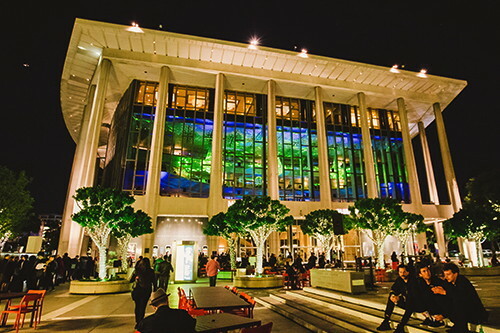 For the first time, during the April 1 Sleepless event, the public will be able go backstage at the Dorothy Chandler Pavilion, where personal experience interpreters will serve as guides, and be captivated by immersive projections, light and music (limited capacity; first come, first served). As a sensory experience that people can enjoy on their own or socially, Sleepless: The Music Center After Hours has been explosively popular from the start, said Ming Ng, interim vice president of programming, The Music Center. “At each event, Angelenos have been amazed at the power of some of L.A.s best music and visual artists to transform this iconic space,” Ng explained. Sleepless ticket buyers will discover beloved architectural spaces at The Music Center, which are transformed in dynamic new ways. At the April 1 event, they will be invited to pick up headphones for silent dancing during simultaneous DJ sets and bask in an artfully designed environment created by art director Katie Byron; dance in the Pavilion’s exclusive Founders Room with DJs and electronic musicians curated by Resident Advisor; bring their own soft seating (no chairs) or lounge on pillows, cushions and bean bags and listen to sci-fi Hip-Hop selections from DJs Ras G, booming beats from Teebs, and ambient sounds from Nite Jewel and Sage Caswell; groove to quadraphonic field recordings by George Jensen as they move through the Pavilions light lock; dial up the Sleepless hotline from their mobile phones inside decommissioned phone booths; enjoy melodic, soulful electronic music by Beastie Boys collaborator and multi-instrumentalist Money Mark; and more. Guests will get in the Sleepless mood as they are welcomed to The Music Center Plaza with the psychedelic sounds of DJs from LA Record. There will be no-host bars and snacks available for purchase. No outside alcohol is permitted. Parking in The Music Center lot for those entering after 8:00 p.m. is $5.00. For more information about Sleepless: The Music Center After Hours, visit their official site here. Friday, April 1, 2016, 11:30 p.m. until 3:00 a.m. on Saturday, April 2, 2016. June 17, 2016, September 23, 2016, and November 11, 2016 at Music Center locations to be announced. Sleepless is open to the public, and all ages are welcome. Artists and event details are subject to change. — For groups of 10 or more: (213) 972-8555 or email here. Limited availability for backstage access; first come, first served. Available in The Music Center lot, under the Dorothy Chandler Pavilion, for $5.00 after 8:00 p.m. The Music Center is Los Angeles home to the worlds greatest artistic programs and events. With four iconic theaters and four renowned resident companies LA Phil, LA Opera, Center Theatre Group and the Los Angeles Master Chorale and recognized for its illustrious dance programming, Glorya Kaufman Presents Dance at The Music Center, The Music Center is a destination where audiences find inspiration in the very best of live performance, as well as nationally recognized arts education and participatory arts experiences. The Music Center also programs and manages Grand Park, a 12-acre adjacent greenspace, with year-round free programming. For more information, visit musiccenter.org and follow The Music Center on Facebook and Twitter (@MusicCenterLA).